Guerrilla Graphix uses manual and automated presseS to screen print on T-shirts, TANK TOPS, hoodies, hats, bandanas, Tea TOWELS, aprons, tote bags, athletic gear, team jerseys, uniforms and other promotional apparel. WE ALSO OFFER WHOLESALE CONTRACT SCREEN PRINTING FOR YOUR BRAND. Our profit-sharing employees provide exceptional customer service and workmanship right here in New Mexico! our screen printing team will be in touch shortly. Guerrilla Graphix provides in-house production for screen printing and is known for exceptional customer service, attention to detail, and fair, straight-forward pricing. Our Albuquerque and Taos design associates are highly knowledgeable and happy to assist you with your custom screen printing project. Let us help you promote your business, brand, event, fundraiser or personal artwork! We have the ability to print up to 6-color designs with a maximum palette size of 11 by 17 inches. Our minimum garment run is 18. Our high-speed, automated press can handle runs of 100 to 10,000 pieces and we offer contract-printing prices for very large runs. We also use manual presses in our shop. 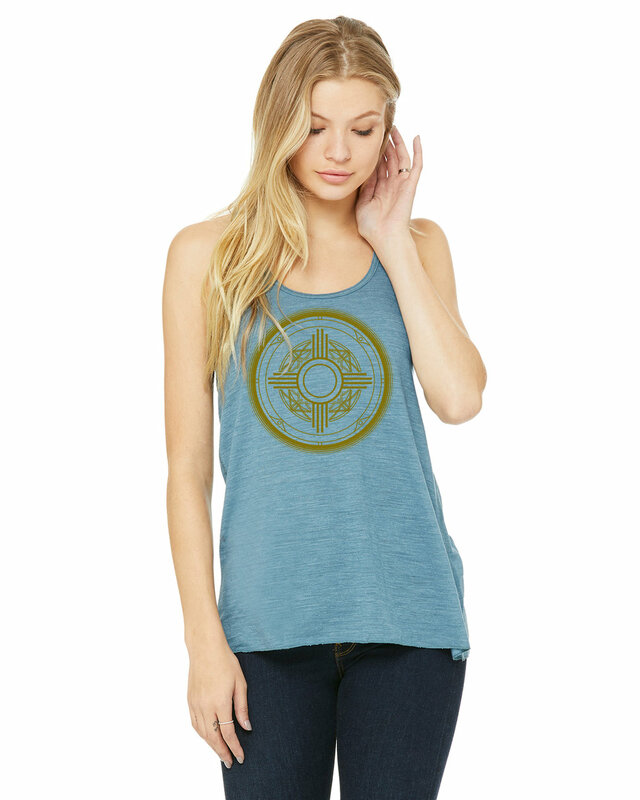 You can provide your own garments or you can visit our ONLINE GARMENT CATALOG which features more than 6,000 printable T-shirts and other garments in a wide spectrum of styles, colors and sizes. Our design associates can walk you through the process and provide you with artwork specifications and other pertinent information. READY TO GET STARTED? Just contact our design & print desk in Albuquerque or Taos . There's a one-time setup fee for each new design you submit for printing. Once we have finalized your design and burned film, you will not incur this cost on future orders of the exact same design, we will keep the artwork in our archive for future reprints if required. $15.00 for each screen used in printing your design (you'll need a separate screen for each imprinted color). $25.00 per half hour for graphic design. Our screen printing charges vary based on the quantity of items ordered. Minimum orders for printing start at 18 garments. If we print 36 or more items with the exact same image & ink colors at the exact same size you will be eligible for a "long-run" discount. Please note that these print prices DO NOT include the price of any garments we may provide for your job, keep reading for sample garment pricing. To obtain pricing for your custom screen printing project, simply provide us with a bit more information and we will get back to you with an estimate. We also offer contract printing services for fashion lines and retail shops, please provide us with information regarding your screen printing requirements and we will put together pricing tailored to your needs. sizes and colors. Once you have identified an item(s) of interest, please note the brand(s) style number(s), sizes and color(s), then complete our online quote request form or call our service desk in Albuquerque or Taos for pricing. We typically use phthalate-free, plastisol inks which come in a wide palette of popular stock colors (see below). If your ink color needs are highly specific, for an additional fee we can custom match any identifiable Pantone® (PMS) color, however, we will need you to provide us with the PMS number or you can stop by our service desk to select a color from our Pantone® chart. Please note that due to the variances in computer monitor calibrations, online Pantone® charts and color matching to emailed digital images is unreliable. Hence, we are unable to work with, "Just match the color in this JPG." What appears to be green on your monitor, may be much closer to blue on our monitors. 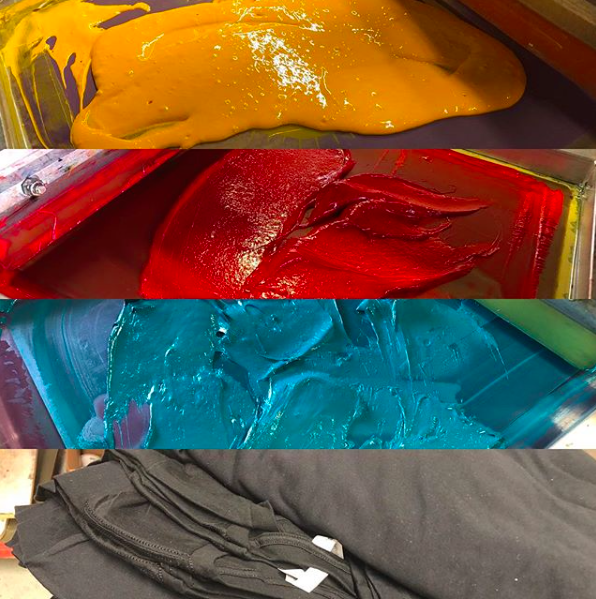 Keep in mind that we are also able to print with specialty inks including, water based inks, discharge inks (bleach out effect), plastisol charge inks (P-charge), reflective inks, metallic inks, high-visibility neon inks and glow-in-the-dark inks. If you feel your artwork is "ready to rock," please submit your files for review via email directly to our design team. To ensure the best printing results, send your artwork files in Vector format (Ai .Svg .Eps .Pdf.) or Pixel format (Jpg .Psd .Png .Tiff )—ideally pixel-based artwork should be created using a 300 dpi digital canvas at the actual desired print size. ::: Deposit: Unless you have an established account, we require a deposit equal to the cost of your garments. If you are supplying your own garments, we require a 50% down payment in advance. ::: Turnaround: Typically, we are able to complete your job within one week after receiving your deposit and approved artwork. Please bear in mind that turnaround times may be affected by garment availability. For more information regarding wholesale contract printing, please call our Base Camp production facility!